Today’s #VeteranOfTheDay is Army Veteran Willard C. Matthias. 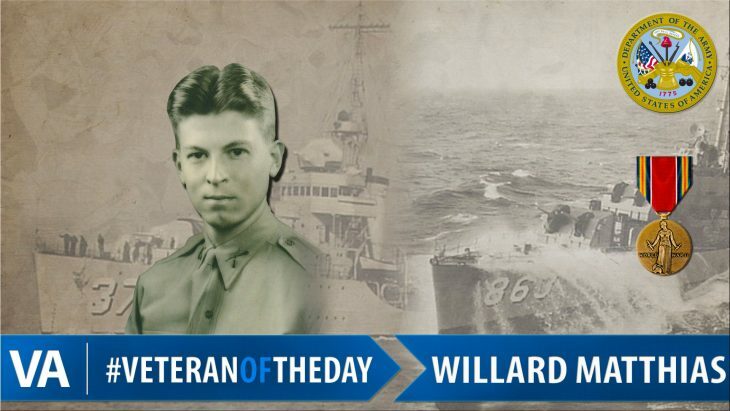 Willard served during World War II. When WWII began, Willard was working as an assistant professor of political science at Miami University. He was drafted in 1943 and began his career as an infantryman. He was soon transferred and put in charge of interviewing soldiers upon arrival and deciding what jobs were right for them. He was later transferred to the Military Intelligence Division in Washington D.C. In D.C., he was in charge of intelligence for the Southeast Asia branch, and he looked at translations of documents and reported on the military affairs of Southeast Asia. He wrote reports that were top secret and circulated to only the highest political and military leaders. He liked this work so much that he continued to do it as a civilian, after his discharge in 1946. We honor the service of Army Veteran Willard C. Matthias who served during World War II.